1. Find an object or photo. In preparation for writing an illustration based on a scene from the past, I gathered an object or photo from that time period to help me step back into time. I found that holding a tangible object from the past refreshed my memory and triggered the creative writing skills needed for storytelling in the midst of nonfiction content. Old crafts, jewelry, certificates, clothing accessories, or desk items worked well for me. If I did not have an item from the past, a similar present-day object functioned as a stand-in. 2. Involve all five senses. We capture memories with all five senses, so we will recall the past better if we involve multiple senses. Listening to music from a past era, tasting food from an old recipe, or smelling flowers can help you remember an old event. Have your favorite snack, put a vase of flowers on your desk, and play some music, and then start writing! 3. Take a field trip. If possible, go back to visit a place similar to the one in your manuscript. If you are writing about an event, attend a similar present-day event. Notice the details and the differences between the present event and the past one. Attending a university graduation ceremony as an alumna helped me describe my own doctoral graduation ceremony in my manuscript. 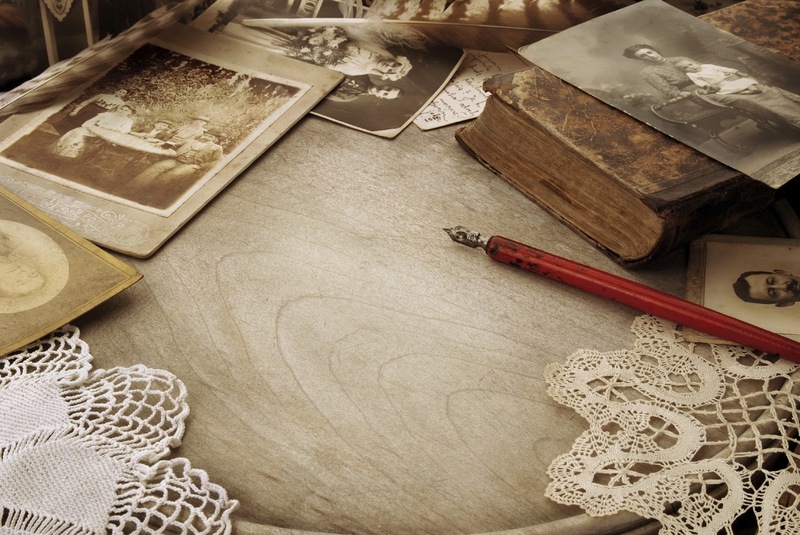 To shape a scene set in the past, walk away from your desk to relive the memories. 4. Describe a moment in time. If you are adding narrative material to a nonfiction manuscript, consider sharing a moment in time with your readers instead of a lengthy story. In order to better relate to my intended audience, I often chose a moment representative of daily life in a certain time period instead of a dramatic event or major milestone. By picking moments many people experience, you increase the likelihood of your writing connecting with readers. I tried to tell stories that hold truths that span generations and remain timeless. 5. Enjoy the writing process! Writing down a tiny bit of history for a future generation of readers is a wonderful privilege. Relish the opportunity for a little time travel as you type the words of your manuscript . If you find happiness in your craft of writing, you increase the chance your readers will discover joy in the pages of your book. Smile as you take a snapshot of the past! This entry was posted in Memoir, Non-fiction, Writing, Writing Craft and tagged Christina M. H. Powell, Enriching non-fiction writing, Questioning Your Doubts by Christina M. H. Powell. Bookmark the permalink. Thank you for this helpful post. It describes my WIP perfectly.